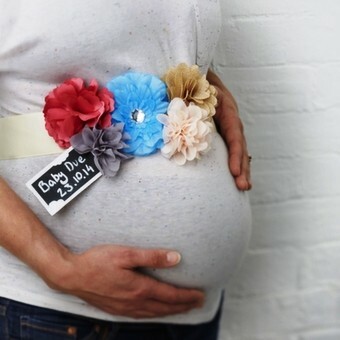 If you are looking for something a bit different for the mother to be, this Mother To Be Ribbon Sash is a fantastic idea! The chalkboard tag on the sash allows it to be personalised to display anything from the due date to the gender of the baby! If you are looking for something a bit different for the mother to be, this Mother To Be Ribbon Sash is a fantastic idea! The chalkboard tag on the sash allows it to be personalised to display anything from the due date to the gender of the baby! This mother to be sash is also a great surprise for a baby shower celebration for the mother to wear. The sash is 2m in length.